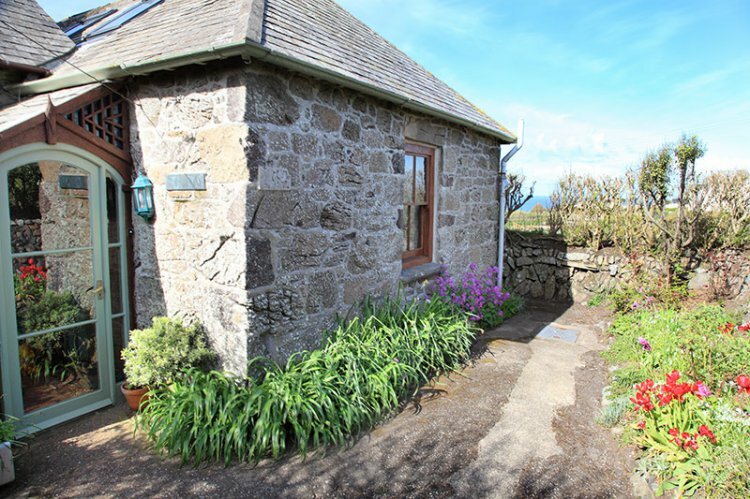 Pentreath Studio is situated perfectly, with direct access to miles of cliff top walking on the SW Coastal Footpath and within easy reach of the beach at Kynance Cove. Excellent sea views and a modern, comfortable interior mean this is an excellent location from which to enjoy the area. Being an annexe of Pentreath House, the Studio has it's own private access with parking on the track immediately outside. The village green at Lizard is just 100 metres away with two restaurant/pubs, excellent fish and chips and of course, ice cream! Having recently undertaken a complete refurbishment the Studio has a brand new fully fitted and well-equipped kitchen, a double bedroom with en suite bathroom and shower over the bath, a large comfortable lounge with double doors to the patio with excellent sea views and garden furniture provided. WiFi and central heating are included, as are bedlinen, towels and electricity. No smoking.